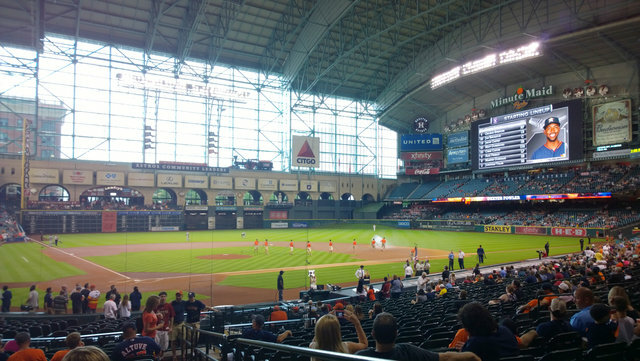 We went to an Astros game during Carrie's wedding shower. We had great seats close behind home plate! In fact, we sat two rows behind Arian Foster, who was a good sport about signing a lot of autographs throughout the game.